MINI is making a comeback in international rally racing. From 2011, the brand will compete in selected rounds of the FIA World Rally Championship (WRC) and will go on to contest the entire season from 2012. The brand’s involvement is planned for several years. The car charged with this task is the MINI Countryman WRC, which is being developed by Prodrive in close cooperation with MINI and is based on the production model. The powerful heart of the racing car is a 1.6-litre, four-cylinder turbocharged engine from BMW Motorsport. The car complies with the new Super2000 regulations put in place by the International Automobile Federation (FIA). These stipulate the use of turbo engines with 1,600 cc displacement and four-wheel drive, and the WRC now also features an increased emphasis on road-relevant technologies. The result is an impressive 25 percent reduction in overall costs. 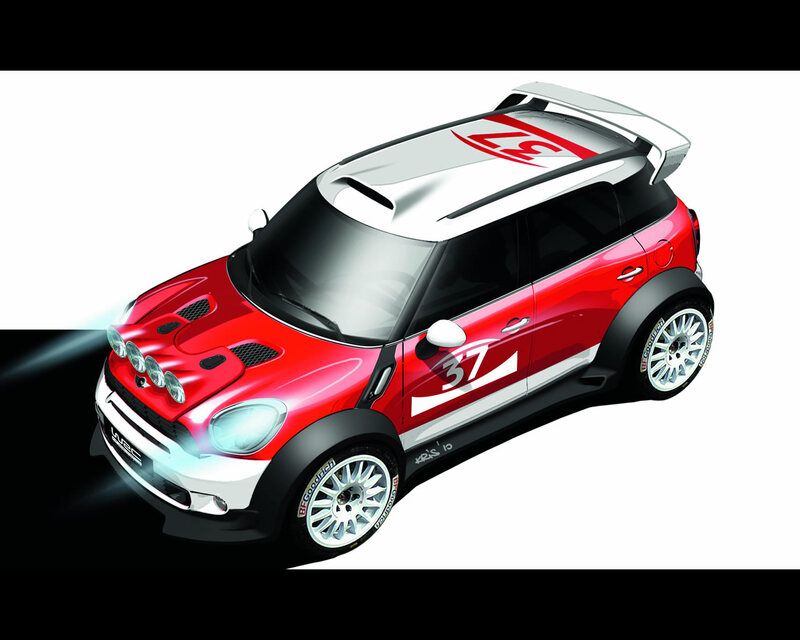 The first test for the MINI Countryman WRC, which will also be available to customer teams, is scheduled for autumn 2010. This decision sees MINI continue its success story in the world of rallying. In the 1960s, the Mini Cooper S caused a sensation with victories at the legendary Monte Carlo Rally. The company also tasted success on many occasions in the European Rally Championship. Having already demonstrated the sporty character of its models in many countries through the MINI CHALLENGE, the brand is now taking its presence in motorsport to a new level with its involvement in the WRC. 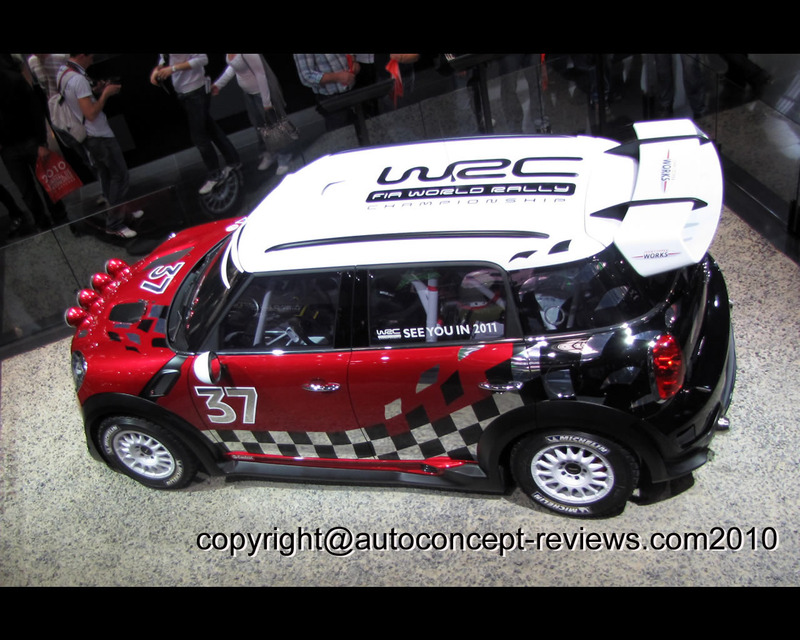 Prodrive has been working on developing the MINI Countryman WRC since early 2009. The company was formed in 1984 by Richards, who won the World Rally Championship as co-driver to the Finn Ari Vatanen three years earlier. Based in Banbury, England, Prodrive has developed into a leading independent company in the motorsport and automobile sector under Richards’ guidance, and today employs over 500 staff. Prodrive’s many successes currently include six overall victories in the World Rally Championship, five titles in the British Touring Car Championship and three class victories at the Le Mans 24 Hours race in France. MINI in rally racing: giant-slayer and crowd favourite. enjoyed its finest hours in the Monte Carlo Rally in 1964, 1965 and 1967, as the Mini Cooper S celebrated three overall victories in the world’s most iconic rally. Paddy Hopkirk (Ireland, 1964), Timo Mäkinen (Finland, 1965) and Rauno Aaltonen (Finland, 1967) added their names to the list of winners in this prestigious event. In 1965 “Rally Professor” Aaltonen also won the European Rally Championship, with Britain’s Tony Ambrose and Mäkinen finishing second and third to round off an excellent overall result for the Mini Cooper S. In addition, MINI drivers also enjoyed many individual wins at renowned rallies throughout Europe. BMW achieved its most recent World Rally Championship victory in Corsica in 1987, courtesy of Frenchman Bernard Béguin at the wheel of a Prodrive BMW M3.